Check here for an archived version of this webinar. Low Impact Development (LID) has become an increasingly widespread sustainable approach to site planning and stormwater management design. 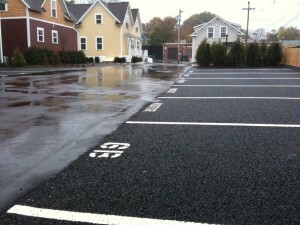 In this webinar, Jonathan Ford, PE and Brian Kuchar, PE, RLA, will review the fundamental LID principles, then demonstrate innovative “beyond LID” advancements including neighborhood scale environmental design, “lovable” infrastructure, bioretention and permeable pavement case studies in various contexts, bioretention planting approaches, and solutions to address perceived LID stormwater maintenance and operation challenges. Brian Kuchar has over 18 years of experience in the combined fields of site engineering and landscape architecture including: site inventory assessment and planning, park and trail design, erosion control, stormwater management, green infrastructure, ecological and stream bank restoration, land management planning, public outreach, and construction administration. Brian has been employed in both the public and private sectors and has experience with a broad range of projects including multi use paths, park and riverwalk design, land use management, stormwater retrofit, green infrastructure and ecological restoration. He collaborated with the EPA on the development of a handbook for urban green infrastructure and stormwater retrofits as part of the EPA’s Green Infrastructure Municipal Handbook Series. Brian is a registered landscape architect as well as a registered professional engineer and a LEED accredited professional, and previously served as an adjunct professor in the Landscape Architecture Department at the University of Rhode Island. Jon Ford, PE, is a Senior Project Manager at the Horsley Witten Group. His planning and design approach is based on the principles of New Urbanism and the belief that compact, walkable neighborhood design creates vibrant, livable places in balance with nature. Mr. Ford is a Knight Fellow in Community Building at the University of Miami’s School of Architecture, co-founder and past President of the New England Chapter of the Congress for the New Urbanism (CNU), and on the faculty of the Form Based Codes Institute. 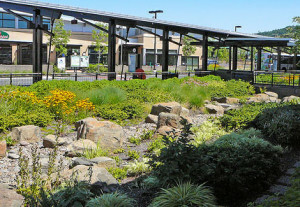 His projects have won numerous awards, including a CNU New England Award of Excellence, Rudy Bruner Award for Urban Excellence Silver Medal, and Boston Society of Landscape Architects Honor Award. He serves on the Board of Directors of the New England Chapter of the Congress for the New Urbanism, Ecological Landscape Alliance, and Blackstone Parks Conservancy.